Things I liked: Quality and extremely accurate in my rifle. Of all the ammo used, this will now be my permanent one. What others should know: This is the solid choice for rifle ammunition. Things I liked: First thing I like to start off by saying Im shooting the pellets out of a Gamo swarm magnum 22 cal 10 round magazine fed and they load easily in the magazine, pellets are clean and feed pellets into the barrel on each cocking and shooting target at 20 yards in one inch groups often punching through the same hole. The gamo is rated at 1300 FPS and I found using a 18 grain pellet prevents me from having fliers and making the gun more accurate. 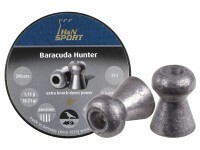 I have my target on a 1inch plywood and these pellets are punching holes clear through after making 2 shots in the same spot very hard hitting, and great for target practice on the pesky raccoon going to the deer feeder at night, Im taking the raccoons out with one head shot at 26 yards. Things I would have changed: Screw on cover would cover would be nice. What others should know: Hard hitting, very accurate, pellets are of good Quality with no no deformed pellets and not necessary for you to clean when you get them before using. 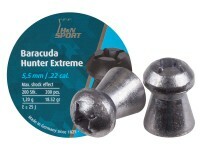 A good target, or hunting pellet and a heat price for 500 count pellets, you cant go wrong with these. 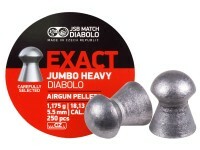 Things I liked: These pellets shoot one hole groups at 30 yards in my .22 cal. Kral puncher Pro. I have to try 50 yards next. With this kind of accuracy what's not to like. Things I would have changed: I would like to see tins with screw on lids. If Crosman can do it JSB can. 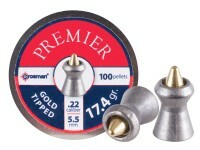 What others should know: These pellets in .22 cal. are pretty uniform and I didn't see any damaged skirts. I wish I could say the same for the JSB pellets in .177 cal. 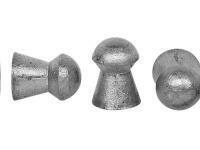 With those pellets I find many damaged skirts and the head size varies far too much to get the accuracy I expect. Do these work well in the Benjamin marauder? 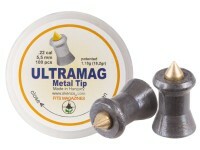 Has anyone tried these pellets in an Umarex Octane? They shoot very good in my Umarex Octane and Ruger Air Magnum, no complaints. Woodys World. 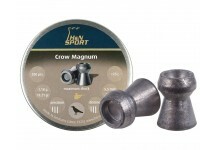 Could be the pellet design, at 18.13 grains, should be shot from a magnum air gun, like the Octane, or PCP. I have. But because my Octane is so bad (can't be "Held") that pellet comp's (9) were meaningless. Ironically, the "Fuel" .17 and .22 are very good. Will these JSB Jumbo Heavy .22 Cal/18.13 Grain Pellets Work in the Latest & Largest Girandoni .22 Air Rifle. 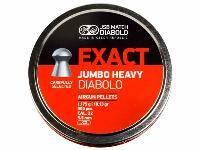 Some Jumbo Pellets Will Not? The same caliber as the pellet. Woodys World. Do you know what the actual bore diameter on that gun is?